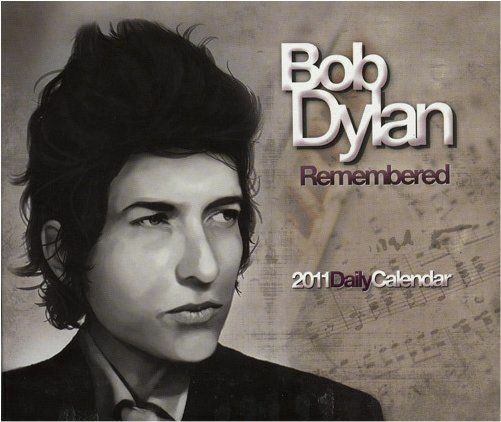 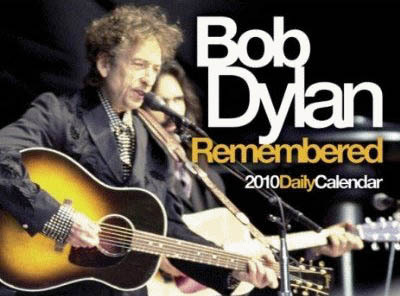 "Bob Dylan Remembered 2011 desk calendar is based on Johnny Black's Rocksource archive of rock and popular music facts, In this Dylan's calendar he recalls intriguing facts covering Dylan's life and career. 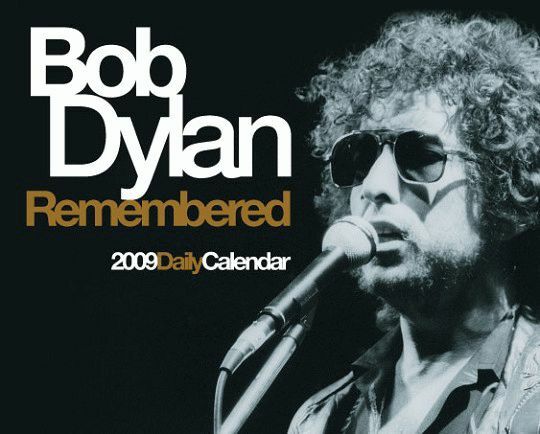 A new revelation for each day of the year. 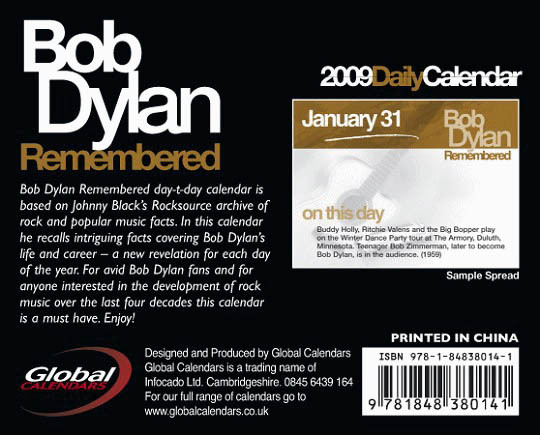 For avid Dylan fans and for anyone interested in the development of rock music over the last four decades this calendar is a must have" www.calendarclub.co.uk .